Topics this week: MoviePass, Lil Duval, Vic Mensa charity work, Tekashi 6ix9ine vs. Ludacris, Get the Strap, QC & TDE + album reviews for Young Thug and Bas. What it dew Trillions! 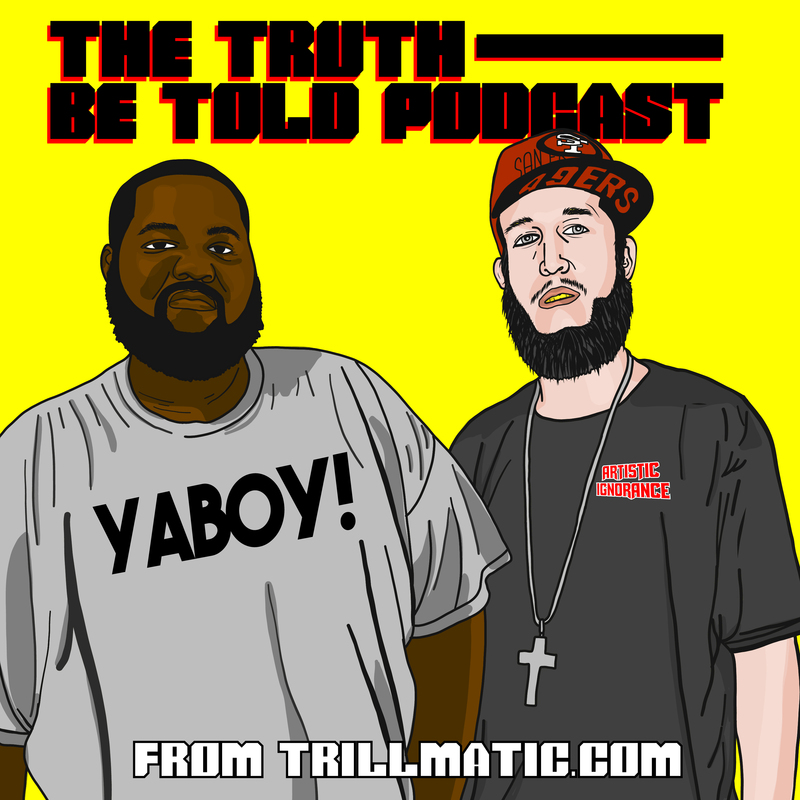 Back again with episode 129 of the Truth Be Told Podcast from Trillmatic.com hosted by Riffa & Bigg UU from Killeen. Thanks for supporting your favorite Hip Hop podcast! Be sure to leave a 5 star review! Black Todd has MoviePass and we discuss how they’re making changes and losing money. We also talk about how much money we don’t spend when we go to the movies. (18:40) Lil Duval came on set with DJ Khaled at a show with his hit single ‘Livin My Best Life’ and it’s currently creeping up the charts. (21:00) Vic Mensa aims to turn around the situation with the sting operation in Chicago with sneakers the and young kids getting arrested. (24:44) Tekashi 6ix9ine and Ludacris have a beef brewing but did 6ix9ine do right by dissing Luda? We also talk about the new video ‘Get The Strap’ from 50 Cent, 6ix9ine, Uncle Murda & Casanova 2X. (38:50) Nicki Minaj aka the new Harriet Tubman had to cancel the North America Leg of her tour with Future. Hear how Bigg UU could’ve got her tour sold out. (44:00) Quality Control may be linking up with Top Dawg for a future collaboration. Will Kendrick Lamar link up with the Migos? Will Ab-Soul link up with Lil Yachty? (54:00) Lil Uzi Vert recently had a Bible thrown at him on stage but he’s not the only person to receive stuff thrown at him this week. Swae Lee had a phone thrown at his face and left a pretty serious gash. JAY-Z and Beyonce Lee had someone run on stage with them which could’ve ended badly for them. (1:06:50) Young Dolph was offered a deal for $22 Million but turned it down. But was it the best decision? (1:12:32) Joe Budden signed a deal with Spotify to an undisclosed amount. We talk his growth in the podcast game and what it means for the culture.